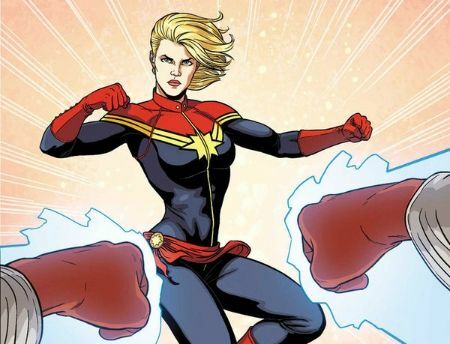 The first set photo of Brie Larson wearing her Captain Marvel costume was revealed today. I'm not sure if that's the final version (her pants don't seem to fit very well) or just a test. 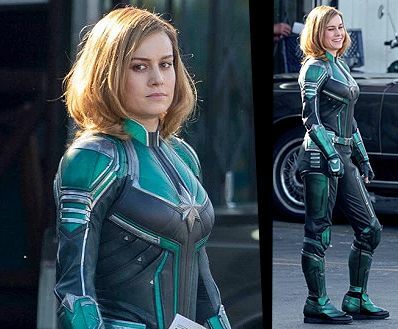 The costume looks more like a mechanic's jumpsuit than her comic costume. Hopefully they'll tune it up a bit and make it look a little better onscreen. They do tend to update the character costumes from one movie to the next. It's rumored that she's actually currently filming her first appearance in Avengers 4 (or a last-minute addition to the upcoming Avengers: Infinity War) before she starts filming her solo film, but that hasn't been confirmed. Guess we'll just have to wait and see how things play out over the next couple films.